Having cold showers? Does your hot water system need repairing or replacing? We regularly repair and replace gas and electric hot water systems. The selection of a suitable hot water system is a matter of personal choice. We can assist you in the decision making process with our knowledge of each of the different types of hot water systems. 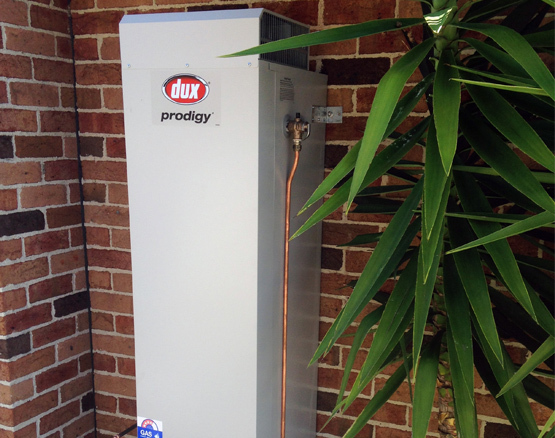 We have experience with instantaneous as well as storage hot water systems, both gas and electric. The process of choosing a new hot water system can be very daunting with so many choices available to the consumer. We can help take the stress out of that decision, with our experienced tradesmen who can help you weigh up the pros and cons of each, for a more informed decision. There can be a great deal of confusion surrounding hot water systems as there is a lot involved in the servicing and replacement of them. If you have any questions, give our friendly team a call! When should I replace my hot water system? If you notice that your hot water system is leaking from the cylinder, generally this means the system is rusted through or has failed and it is time for a replacement system. What is the average lifespan of a hot water system? The average lifespan of a hot water system is approximately 8-10 years. Anything over this time frame is a bonus. We can assist you with either repair or replacement. What is involved in upgrading gas storage to instantaneous gas? The key factors involved are that you need to have a 20mm gas supply, as well as a 20mm water supply. A 20mm hot water supply will also need to be run as far as possible as well as a power supply. Why do I need a tempering valve on my hot water system? Australian legislation requires all new and replaced hot water systems must be fitted with a tempering valve limiting the temperature to a maximum of 50 degrees to protect infants and the elderly from scalding. "We've had both Tom and Jared out to do various work at our place. Most recently they responded to a late night cry for help when our water heater died. They were out to our house first thing in the morning and had a new heater installed by the end of the day. They even removed the old heater, which required some handyman work in the underhouse door. They made the whole process painless, were efficient, thorough and cost effective."